An interesting fact is that you can see in this video entire poem "Johny at 8.30". Is this review really wrote by THIS Michael Crichton? 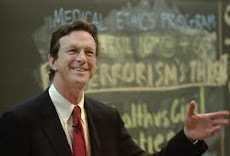 Yes, the New York Times book review of How Doctors Think by Jerome Groopman was written by Michael Crichton. He wrote many book reviews over the years for various publications.